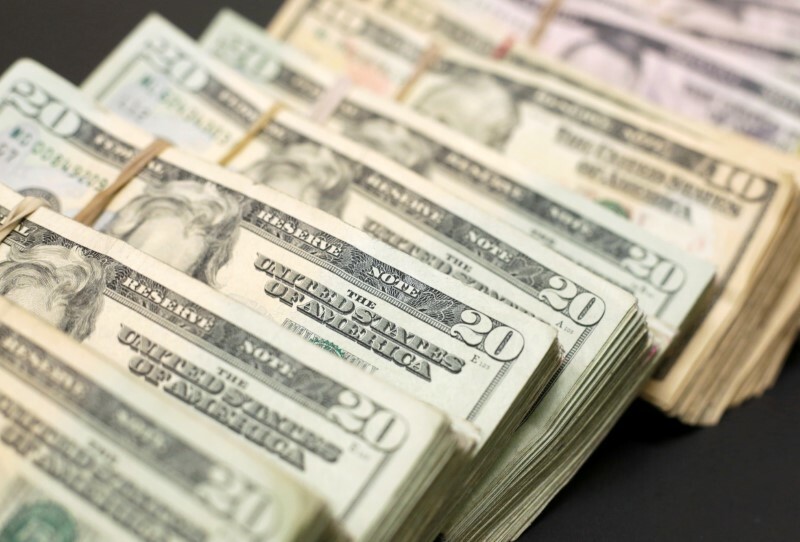 TOKYO (Reuters) – The dollar wallowed near a three-week low against peers on Friday as U.S. Treasury yields fell sharply, while the euro’s recovery remained intact amid expectations that the European Central Bank would begin unwinding it stimulus program. The dollar index versus a basket of six major currencies (DXY) was little changed at 93.444 after declining 0.3 percent overnight, when it posted its fourth session of losses. The dollar has come under pressure this week as the euro bounced back from 10-month lows thanks to an ebb in Italian political concerns and speculation that an ECB could signal intentions to start unwinding its big stimulus program when it holds a policy meeting on June 14. The euro was effectively unchanged at $1.1796 (EUR=) after rising to a three-week high of $1.1840 overnight. It was up more than 1 percent on the week and was set to post its biggest weekly gain since mid-February. The greenback was dragged further down as U.S. Treasury yields fell sharply on Thursday on the back of receding risk appetite in the broader markets. President Donald Trump is set to meet North Korean leader Kim Jong Un on June 12 in Singapore. The main issue for the summit is the U.S. demand for North Korea to abandon a nuclear weapons program that now threatens the United States. The financial markets will have a platter full of upcoming events to digest, starting with the Group of Seven summit scheduled this weekend where trade issues between the United States and its major trade partners will come into focus. The dollar was steady at 109.765 yen after losing 0.45 percent overnight. The pound was flat at $1.3420 , having slipped to a low of $1.3368 on Thursday on worries about Brexit negotiations before pulling back on the dollar’s broader weakness. The Australian dollar was a shade lower at $0.7617 , extending losses from the previous day when it was jerked back from a six-week high of $0.7677 after data showed a fall in the country’s trade surplus.